The WIN Food Pantry operating today has its roots in a food pantry opened in 1984 as a result of the devastating Passaic River flood of that year. While we haven’t changed much operationally, we continue to serve an increasing number of individuals and families. 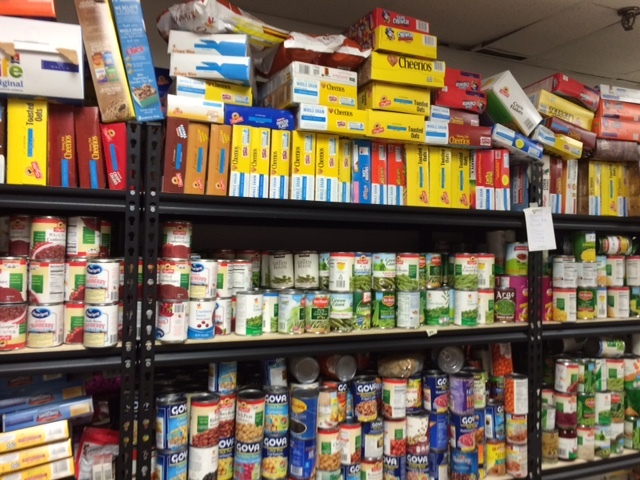 Our food pantry is stocked through the very generous donations of our WIN members and their congregations, the community and many individual donations along with the support of various businesses and service organizations throughout Wayne, NJ and the surrounding areas. The primary purpose of the WIN Food Pantry is to distribute non-perishable nutritious food to eligible area residents in need. We also provide various cleaning supplies and personal care products, as available. Eligible individuals and families can obtain assistance once a month. Our goal is to provide supplemental assistance on an as-needed basis. Some individuals and families have a short term need while others may be in need of more prolonged assistance. ​The pantry itself is not open to the public. Volunteers pack bags of food and other items based on the supplies available as well as the needs of the household. Pantry clients are called when their food is ready to be picked up. Anyone requesting assistance must be a resident of Wayne, New Jersey. The Wayne Township Director of Senior and Social Services screens all applicants and then provides the contact information of eligible recipients to WIN. All families receiving assistance pass through this process and are reevaluated on a continuing basis. If you are in need of assistance from the food pantry, please call the Director of Senior and Social Services at 973- 694-1800 x 3281.